On East Coast FM this week, a listener called in with an unusual problem: a Muscovy duck had crash-landed onto their conservatory. >On this week's radio interview on East Coast FM, we discussed the bizarre news story about an unfortunate elephant escaping from the circus and going for a ramble around a Cork suburb. A remarkable news story today, with an elephant escaping from a circus in Cork, and running off down busy streets. Read the story and watch the video here. 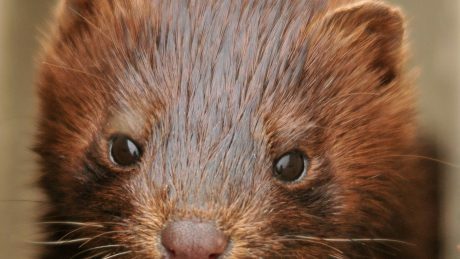 Mink farming was banned over a decade ago in the UK. Did you see the video on Youtube today of an out-of-control dog chasing deer in Richmond Park in London? You can watch the video, and read my thoughts on it, by clicking here. 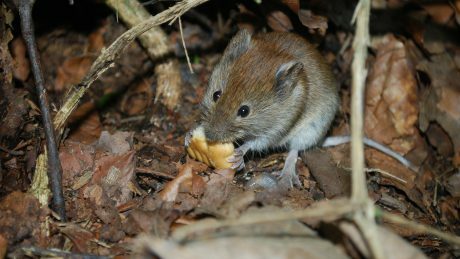 In this week's veterinary podcast, we discuss dealing with the problem of mice invading people's homes. What's the best way to solve the problem? Listen here to find out. It's common to find baby birds, apparently in trouble. What should be done with them? Listen to this radio discussion to find out. Click on the play button below:VETBIRDS. 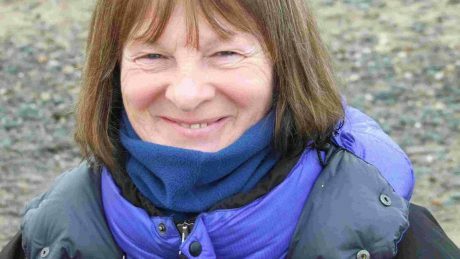 Johanne Leetch often walks her dogs Jan and Lizzy along the beach at Shankill. 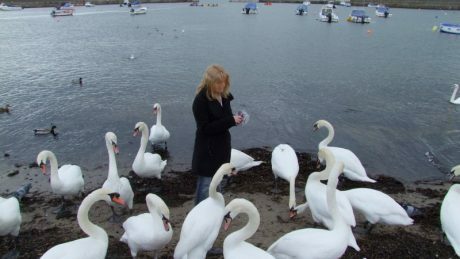 Harriet Ledwidge from Bray, Co Wicklow has recently helped to establish the Bray Swan Sanctuary Volunteer Group to look after the swans in the harbour in my home town of Bray. Swans occupy an unusual niche. 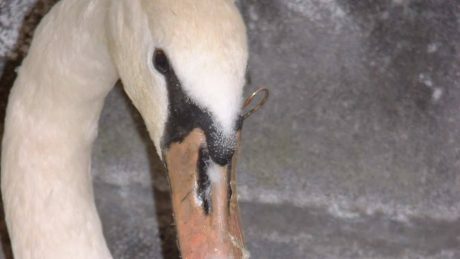 The cruelty of people to animals knows no limits: this week, a firework was placed inside a piece of bread then fed to a swan in a public park. 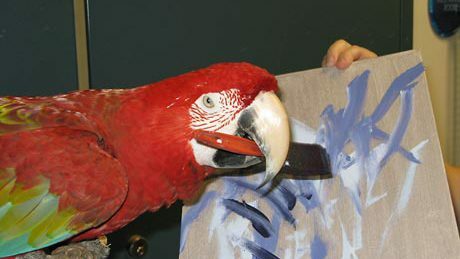 Seals, pigs, kangaroos giraffes, red pandas, rhinoceros, and even komodo dragons have been dipping paws, noses, claws and tails in paint to create their own works of art. 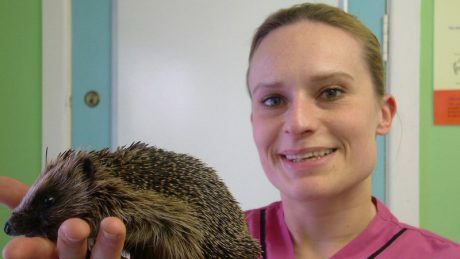 Caroline found Harry the hedgehog walking across her garden in the middle of the day. 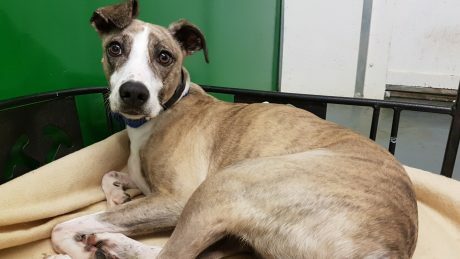 When she picked him up with gloves, he curled up at first, but then he poked his head out and sneezed at her. 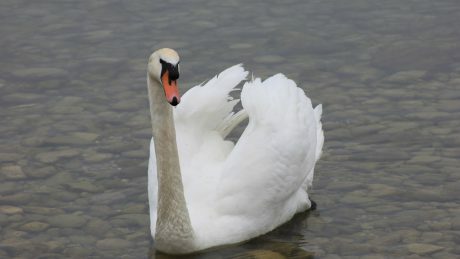 Bray, the small town in Ireland that is my home, has its own resident flock of swans - around fifty of them live in the local harbour, and they are a popular draw to visitors.